Best known for Investigation of a Citizen Above Suspicion and The Tenth Victim, Petri was one of the finest and yet most underrated Italian directors of the 1960s and 70s. 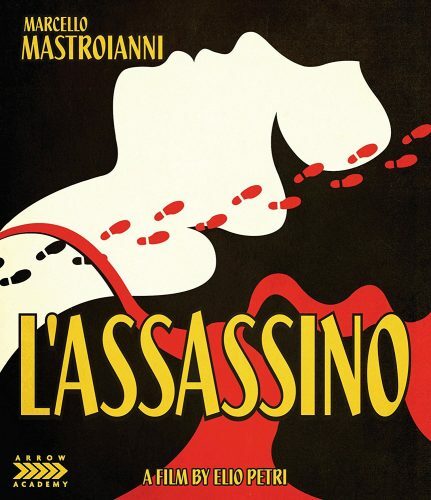 Highly acclaimed on its original release but unjustly neglected since, The Assassin is a remarkably assured debut from one of the cinema’s sharpest chroniclers of Italian social and political realities. Petri said that he wanted to reflect the changes wrought by the early sixties, and to examine ”a new generation of upstarts who lacked any kind of moral scruple”. The Assassin is a Mystery Film dealing with a Female being killed. The Main lead is male, also he is an Antique dealer who was the last person to see this lady alive. The entire movie was a detectives interrogating are lead for a confession. Through the interrogations the film ran with flashbacks for every story he told. Was he the killer, did someone else sneak in after he left and killed this lady? The story was a good follow with an ending that had me saying I wish we got a twist…But right at the last second a twist was laid out. Acting was pretty good and the whole style of the film was great. A tad slow in some spots but mostly it was intriguing as we dive in to flashbacks of are leads story’s on how he knew the victim and other characters that pop up including other details about his life. The film is in black and White but looked great and sorry for the lazy views as this only has subtitles in the Italian film. Overall the film was a good watch. Could be a tad better with a deeper twist but putting the twist at the last second of the film was pretty good. The last second is where we come to come to find out why the film is named what it is. I recommend the film if you like world films and Mystery’s. With that said I give this film a 4 out of 5. Not a perfect film but worth the pick up.